Marble and Stone Restoration and Maintenance — Transpacific Building Maintenance Inc. Marble and Stone Restoration and Maintenance – Transpacific Building Maintenance Inc. If you own any marble or stone fixtures, there are certain procedures that you need to follow to preserve, restore, and maintain them. A marble and stone restoration and maintenance company can help you to do just that. Sealing services are beneficial as they allow your marble to breathe, increase slip resistance, and help to preserve it’s finish. In addition, sealing services can prevent dirt, liquids, and moisture from seeping into your stone or grout, can prevent the buildup of calcium and soap scum, and can make your marble and stone much easier to care for and maintain. If you are looking to enrich or enhance the color of your marble or stone, polishing is the method by which you will want to use. With the help of a polish you can easily achieve high floss finishes, semi-gloss finishes, and light luster finishes. In addition to enhancing the appearance of your stone, polishing can also help to remove minor scratches. 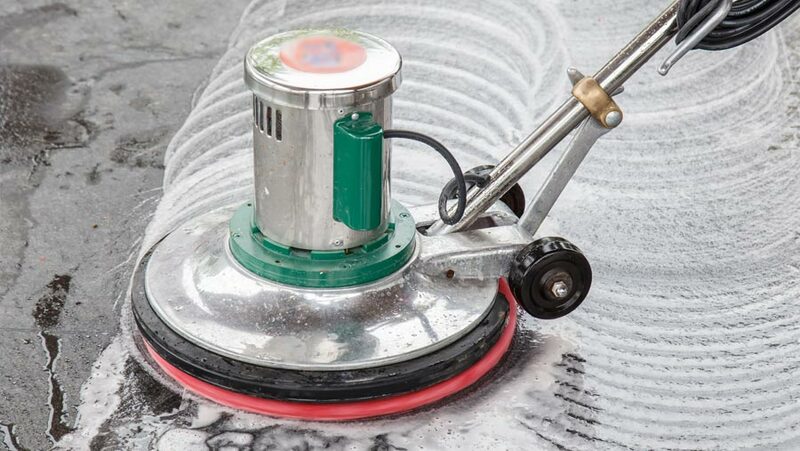 This is a method that you will want to use if you are trying to remove any light scratches or watermarks on your marble or stone. In addition to removing scratches, honing can also help to remove dirt buildup, as well as achieve dull or matte finishes. If you are looking for a modern, yet contemporary look for your stone, honing is the way to go. There are three methods that a restoration and maintenance company can take to improve the appearance of your grout lines. Firstly, they can clean your grout. Other options are to dye it, or cut and re-grout it. A deep cleaning of your grout is most beneficial if you just need to remove dirt and oil. Dying your grout is a better option if you are looking to achieve a more perfected color, and re-installation is recommended when grout begins to lift. Over time, the appearance of your marble and stone can become dull and worn out. When this happens, you can replace your stone or you can have it restored. The restoration process involves several different steps including the washing, cleaning, stripping, polishing, and honing of your marble or stone. And while this may seem like a lot of work, it is much more cost effective than replacing your marble and can still make your marble look as good as new! When cracks or holes arise within your marble or stone, it is no longer a necessity to have it replaced. Rather, you can simply have it patched up with an epoxy resin. Not only can this save you money, but it can also eliminate safety hazards, make your stone easier to clean and maintain, and leave a smooth finish behind. Of course, the above are just a few of the many services that you can find offered by a marble and stone restoration and maintenance company. Other services include stone cleaning, color enhancement, stain removal, and polishing. Don’t waste your money on new marble – fix up your old stuff!